Moving Images is a YouTube channel that uploaded its first video a little over a year ago. In that first video, Kishor paid tribute to the Tamil movie Thalapathi (1991), which saw the coming together of his favourite actor, director and cinematographer. Since then, Kishor has created a number of videos, each discussing a certain aspect of a Tamil movie that stuck with him. His analyses have found resonance with many followers of Tamil cinema. Kishor is a researcher by academic training; he holds a PhD in Bioengineering. When not examining human brains, I dissect Tamil films and make video essays on them. We admit we were a bit surprised by that. We were curious about the beginning of Kishor’s love affair with cinema. I was born and raised in Chennai, and moved to Cuddalore when I was in high school. I was always interested in cinema, but it was my time in Cuddalore that played a huge role in the creation of Moving Images. Watching a film in Chennai was expensive, but tickets in Cuddalore cost about 10 rupees and you couldn’t reserve your tickets either, you only had to show up. Also, watching a movie on its day of release wasn’t as much of a challenge. And by then, I was considered old enough to be watching movies by myself, so I think I watched every movie that released in the theatre post-2012. 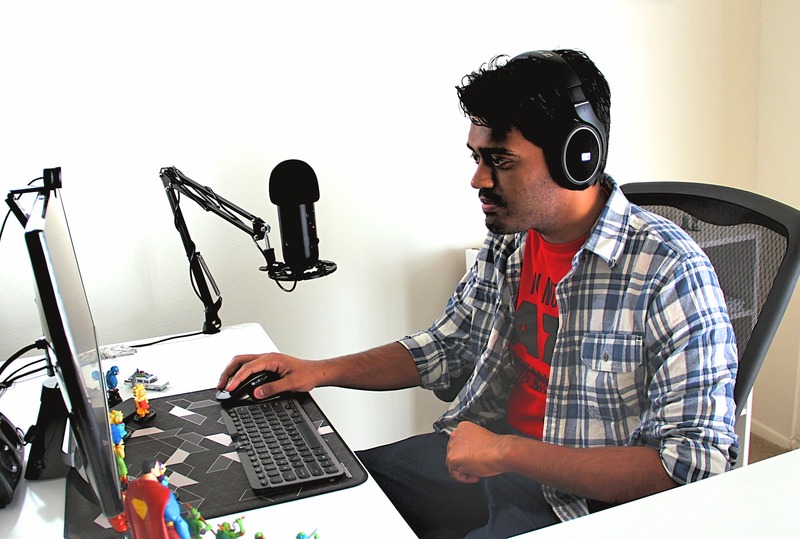 We wanted to know how he started making video essays on Tamil cinema. We assumed he had a bit of time on his hands, but it turns out he had a few other things too. I think India has always been a pioneer in many art forms, including the celluloid. We began the parallel cinema movement even before the French New Wave. And Chennai, in many ways, was the capital of Indian cinema. There was a certain pride I felt for Tamil cinema, helped in part by the inspiring movies I watched growing up. I do have a natural flair for research, given my background, and having just graduated, I finally found the time to start a YouTube channel. I still think the first reason sounds more noble, haha! We asked Kishor whom he thought of as his audience and whether he creates his content imagining this audience. I would consider any fan of cinema to be my audience. But I don’t keep this audience in mind while I make the videos. Each film I analyze is meaningful to me in a personal way, and I conduct extensive research before writing the script for my video. The reason I have to detach myself from the audience is that people constantly comment on my videos asking me to talk about some well-known movies that they think deserve analysis. But my reviews aren’t just reviews or criticisms. I try to uncover a hidden meaning in them, and discover layers, which is what drives me. Kishor says his videos aren’t exclusively for those who are familiar with the context of Tamil cinema, which is one of the reasons English is his language of choice. The idea is to introduce Tamil films even to those who are not familiar with it, in addition to giving a deeper and newer understanding of old favourites or cult classics. I want these videos to be accessible to a wider audience, whose interest in cinema might make them watch these movies. They need not know Tamil, and they could be unfamiliar with the movie I’m analyzing. Of course, I also have some special nudges and winks for fans of the film. Kishor makes another interesting point here, about how English is more suited to what he aims to discuss. I deliberated over English and Tamil, and finally decided to go with English. Most of the philosophies behind films and film-making that I discuss, are best explained in English, and it would be a disservice to Tamil if I started the video in one language but kept switching every time I wanted to pick something apart. In recent years, there has been a flurry of YouTube channels attempting to discuss Tamil cinema. Most of them offer video reviews, helping their hosts achieve a significant celebrity status within the entertainment world. We asked Kishor what he thinks of this development. When I started making videos in August 2016, I think the video reviews were hitting new levels of popularity. The online reviewers were thought to make or break a film’s run at theatres. There was so much negativity in these reviews, and people watched them week after week simply to see how every new release was being torn apart. I’m not getting into a debate on free speech here, and I agree there are always movies that deserve harsh criticism. But it upset me when I realized that Tamil cinema was coming to be viewed as inferior to movies from across the world, and these videos weren’t helping matters. Copyright claims often pose a limitation to creating content on YouTube. Kishor agrees. Copyright claims are indeed the biggest obstacle I face. My videos come under Fair Use regulations. Hence I can use any copyrighted material. Most satellite channels that own the rights to the films I analyze understand this, and retract their claims. The bigger problem comes from bogus companies who ‘claim’ to have rights to certain films. They try to extort money from YouTubers, in exchange for permission to stream our videos. I don’t think YouTube is making any effort to stop this. The challenge is to identify which companies are bogus and not relent to their attacks. I had to send a court-notice to one such company, just so I could stop them from blocking all the videos on my channel. We wondered if creating and editing these videos left Kishor feeling more kindly towards films or film-makers, who might have to deal with much stranger constraints. Every film I’ve analyzed so far has been a revelation. Over the last year, my respect for certain film-makers has increased immensely, notably Mani Ratnam and Mysskin. There is something to discover and explore every time you watch their films. A specific instance of this renewed respect would be what happened when I was writing the screenplay for my video on Aayutha Ezhuthu. The challenge was to talk about something that goes beyond the colour theme for each character, as that is something we are all familiar with. So I sat down and started jotting down the major plot events as they happened in the film. After I was done, I looked at how the screenplay was structured. It was truly amazing to see a pattern emerge. The three individual backstories and one present narrative intertwined seamlessly. Managing to write and present such a complex screenplay was an accomplishment. The Aayutha Ezhuthu video essays can be found here, here and here (Parts 1-3). With Mysskin, it happened a little differently, while editing my video essay. As we know, Mysskin is a visual storyteller, and it shows when you try and edit his body of work. The choice to make my video essay on Mysskin black and white was by accident, but once I did so, the lines and scenes from his various films blurred. I could no longer distinguish between scenes from various movies. This tied in well with my idea of how Mysskin was essentially building his own world where his stories could happen. I love him for that. One book that stayed with Kishor is Conversations with Mani Ratnam, written by Baradwaj Rangan. He says reading the book helped him understand the thought process of the director, and allowed him to look at scenes as part of a narrative structure rather than as singular moments. Kishor also admits that reading this book kept him in check when he tended to go overboard with his theorizing. When you start theorizing about hidden meaning, you eventually begin to fit scenarios to your theories, and that’s always a bad sign. I think theories should come about organically, and that is something I realized after reading Baradwaj Rangan’s conversations with Mani Ratnam. At times, the director’s replies would be so matter-of-fact! Speaking about hidden meanings, every video ends with a quirky dialogue from a Tamil movie. We are told this is strictly for fun. One would think Kishor had a team behind his efforts. He let us know he writes, records and edits the videos himself. But I do have a few friends with whom I brainstorm before I begin working on a script. These discussions are crucial to the final form the video takes. My friend Raji has been very supportive throughout. She knows every movie reference there is, and it is great fun discussing ideas with her. The running gag is that I never thank her for her efforts in my videos (and I never will!). We couldn’t avoid asking him a cliche question though. Yes, the one about favourite movies and directors. We tried to change it up a bit by asking him for favourites from other languages. I’d say my three all-time favourites would be Kaminey – for the innovative way in which it redefined Bollywood tropes, Mackenna’s Gold – for the nostalgia and that catchy song Old Turkey Buzzard, and Spirited Away – for its beautiful animation, and a story that felt both fantastical and personal. Film-makers outside Tamil cinema…Akira Kurosawa – for his pioneering efforts to make films a serious art in the East, Satyajit Ray – for his palpable love for cinema, and Robert Zemeckis – I discovered Back To The Future before Jurassic Park, and it defined my childhood. Thalapathi was the first movie he watched in the theatre. At Kamala Theatre in Vadapalani, Chennai, to be precise. It refuses to loosen its hold on him. He doesn’t mind company while watching movies, as long as they don’t disturb him. But some terrible movies demand the right kind of company to help him get through them. He is currently reading The Anatomy of Story by John Truby, which he thinks would be interesting to anyone attempting to be a good storyteller. Kishor says the response to his channel has been phenomenal, much more than expected. I never thought it would get this kind of exposure or appreciation. The community that responds to my work keeps growing. I am motivated to try bigger and better things. Moving Images was started as a hobby, one that would indulge his passion for Tamil cinema and skills in editing. He plans to expand the channel to include cinema from other regions of India. We would like to leave you with a couple of video essays we particularly liked. I think I have a sense of satisfaction and pride once I finish every video. I am not one of those artists who look back at their work and still find things they could have improved. Having said that, the video I like the most would be the one I made on Mysskin, for how the scenes fell in place like a jigsaw puzzle. I hardly went back and changed anything, it felt a bit like destiny. Kishor’s YouTube channel recommendations: Nerdwriter, Wisecrack, Channel Criswell, Lessons from the Screenplay, Patrick (H) Willems, Every Frame a Painting, Vinoth Varatharajan.